I am not one to knit toys. Well, there was the angry uterus, but other than that, I am not a toy knitter. 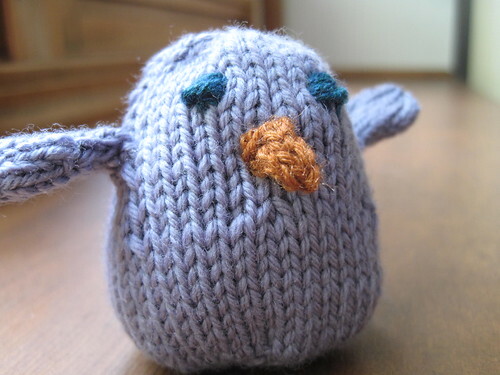 When I saw Sarah's Chubby Chirps on Ravelry, I fell in love. And, as you know, I often blog about how jealousy drives me with lots of knitting related things. Stash enhancing, accessories, knitting bags. I covet lots of people's things. 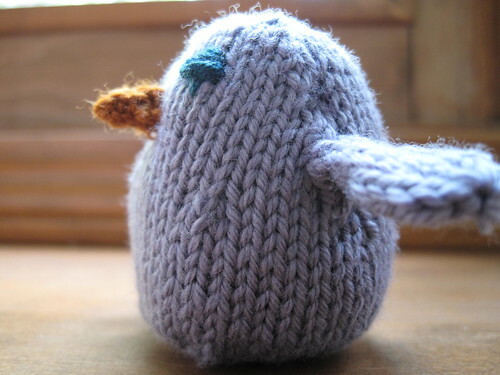 So, because I coveted Sarah's Chubby Chirp so much, I had to knit one for myself. This little guy took me just a couple hours to whip up. Not bad for the girl who does not like knitting toys because I think they are just too hard. The pattern is a Rebecca Danger pattern (I reviewed her book in this post). 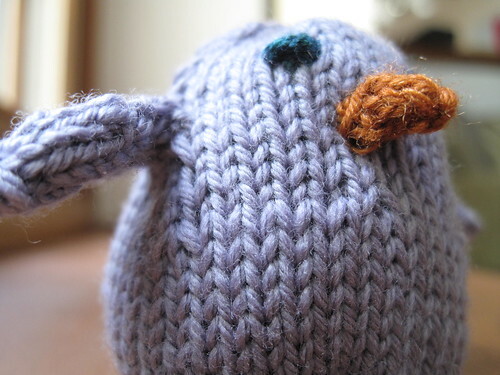 I think this Chubby Chirp pattern was so well written, now I want to try to knit a monster even more than I already did after reviewing the book! The bird pattern is free. You can get it as a Ravelry download here. Happy knitting!